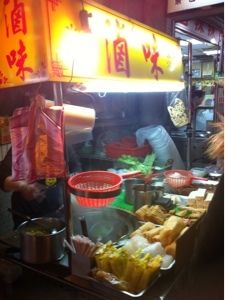 yummy street food across the road from San Want Hotel (after Luxy Disco) in Taipei. pick what you want, and remember to make your choice of veggie to go with it. 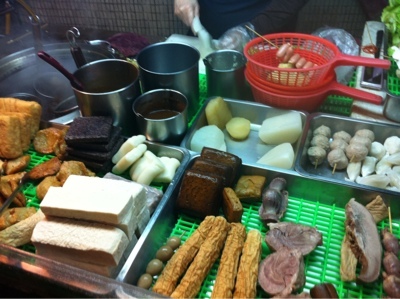 Tang-o made our meal feel princely. 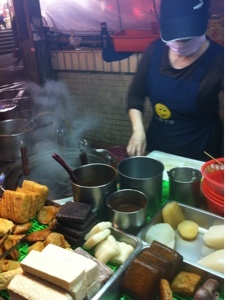 we liked the pig's blood curd (made with glutinous rice), and the yam cake.